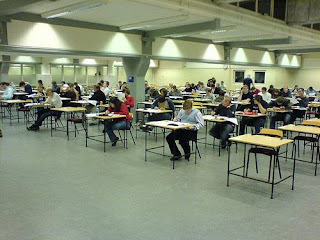 T.I.M.E., the No.1 Institute in India for CAT is conducting a FREE All India Mock CAT on the 23rd August, 2009. This test will be conducted across the country and will be written by a very wide cross-section of students across the country. Based on your performance in the FREE AIMCAT, you will get attractive discounts on the fee for joining T.I.M.E. for the Test Series consisting of 20 AIMCATs, and many more test papers. These discounts will depend on your overall performance in the paper subject to a certain minimum percentile score in each section. The All India MOCK CATs (AIMCATs) are exceptional tools devised by T.I.M.E. for the candidates serious about CAT. Every one of these tests is specially designed, with question combinations that cover all the test areas and various question types that have appeared in the CAT over the years particularly in the recent past. Each is a complete test that gives you a ‘true-to-CAT’ experience in all aspects, including difficulty levels and time-management, and thus provides you with a realistic idea of your level of preparedness. Many of the tests will be conducted in the Online/CBT format and will help you deal with the Online CAT in a confident manner as our tests will simulate all possible formats of the CBT CAT. Each AIMCAT is a stepping stone to higher levels of preparation through identification of areas of strength and weakness. This would help you work out a strategy for the exam. By enrolling for the AIMCATs, you get to take the exams conducted on a national level and bench mark your performance against the largest student database that will take CAT2009, thus giving an edge over others who do not take the AIMCATs. You would answer the Paper based AIMCATs on OMR sheets. The sheets are scanned and the results are made available on our website. You would take the online / CBT AIMCAT's over the internet at your home or at our offices. This is followed by a detailed analysis of the exam and of every student’s performance through the Online Student Support System. This helps you identify weak areas and earmark areas for improvement. You can register at any of our T.I.M.E. centres. Online registration will be available from 14th August, 2009. Enrol today for T.I.M.E. 's AIMCAT series to prepare for the tough race ahead. Don’t get left behind! Click here to know more.